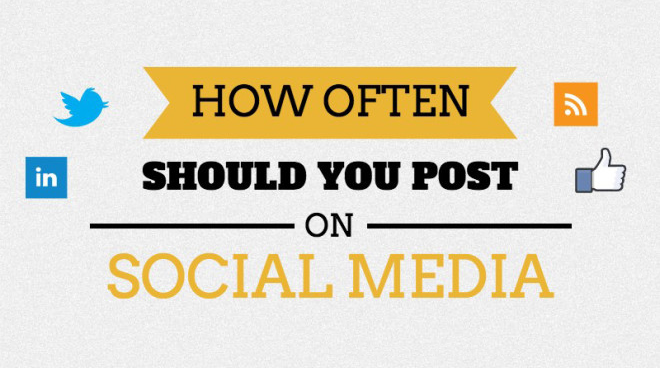 Proteaninbound > Blog > Digital > How often should you post on Social Media? Drawing a line a between how much you could post and how much you should post isn’t easy. This is why we’re happy to share BufferSocial awesome research which has been transformed into an insightful infographic that makes the question of “how often to post” a breeze to answer. Now although this infographic is insightful and seems to be the solution to the problem, it should only be used as a guideline to follow. Industries social activity varies as do people so it comes down to the marketer’s research. The key is to know your audience and when they are going to be online then create strategic, interesting and entertaining content to get to your audience; that’s where success lies.